The way that you care for your hair on the months and days leading up to your wedding are important. If you are hoping to get extra length in your hair it is important to maintain the ends and make sure they are not splitting. If you are hoping for maximum shine, try using coconut oil on the hair overnight to boost the oils from the outside and eat oily fish and nuts to give a boost from the inside. 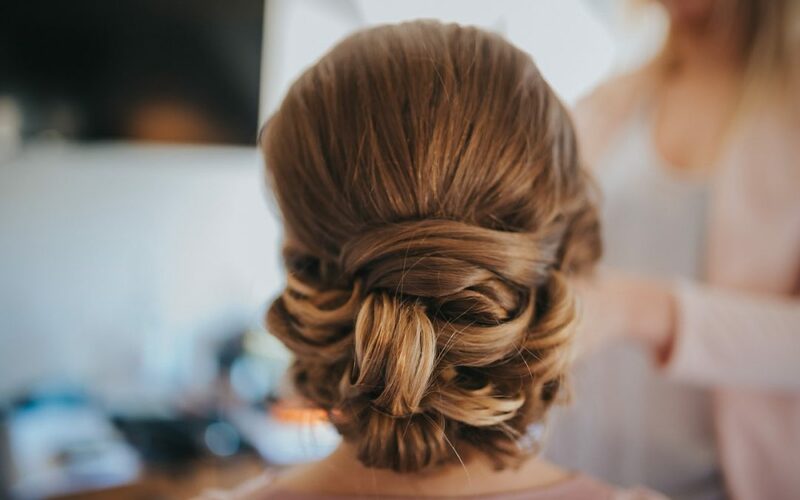 If you are having your hair in an updo, you will want to give maximum texture to your hair on the days leading up to the wedding, so do not wash the hair too much and go easy on the conditioner. And whatever you do, stay away from the straighteners before your hairdresser comes to style the hair on the wedding day, as trying to curl previously straightened hair makes it difficult to do and the curl will not hold well. Follow all of these basic rules and your wedding hair should have the best chances of looking beautiful and holding well on the wedding day.